Even though so much has happened in the world since the March 11, 2011 earthquake and tsunami that led to three nuclear meltdowns and widespread radiation releases, it is crucial to remember that this international fiasco has no end in sight. For the tens of thousands of people in Japan who have been forced to evacuate, this disaster is a daily struggle. Six years have now passed since the Fukushima Daiichi disaster began in Japan, and people from Fukushima City and the surrounding area are subjected to social stigmatization including bullying of displaced children in schools, loss of their ancestral lands and livelihoods, and unacceptable conditions of radiation exposure and their significant life-long health impacts. The world is only beginning to realize the huge impact of the Fukushima Daiichi meltdowns on the Japanese people and Japan’s once pristine and unique environment. 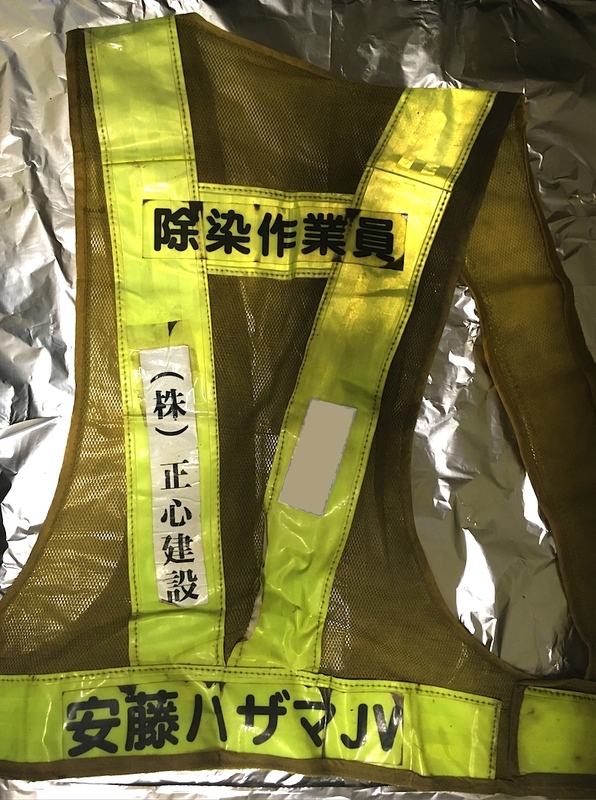 During the past six months, radiation cleanup workers from Japan’s Fukushima Prefecture sent articles of clothing they had worn during their cleanup efforts to a bona fide independent lab for accurate detection, sampling, and testing of radiological and chemical samples. In a joint project with Fairewinds Energy Education, Dr. Marco Kaltofen with WPI’s Nuclear Science and Engineering Program, has analyzed the clothes data from the testing for radioactive particles and activity. When Dr. Kaltofen began analyzing radioactive measurements from a jacket worn by a radioactive debris worker, he found evidence that between 111 and 240 Bq/kg of Cesium 134 and 137 (134Cs + 137Cs) had contaminated the worker’s clothes. It is important to remember that the people working to clean up after these meltdowns are exposed to these conditions every day, including volunteers as young as high school students. We must unite to support these people with accurate radioactive dose assessments, make sure that others do not receive these astronomical exposures without adequate knowledge of their exposure levels and protection against them, and ensure that an event like this never happens again anywhere in the world. It was recently announced that the Government of Japan will lift evacuation orders for four Japanese towns including parts of the town of Namie located only 4km from the decrepit remains of the Fukushima Daiichi nuclear power plant. As Japanese government housing subsidies run out, people are returning to areas that are still contaminated with unacceptable levels or radioactivity, and still border storage sites for contaminated soil. The radiation data the government is using to justify the resettlement accounts for background radiation present in these towns, however it does not account for radiation hotspots and highly radioactive particles still present. On Tuesday, March 14, TEPCO will attempt a robotic mission into Reactor No. 1 to take better stock of the condition of the reactor. This comes after several unsuccessful attempts at locating the melted fuel in Reactor No. 2. TEPCO has previously acknowledged that ALL of the fuel in Reactor No. 1 has melted through, but refuses to believe that’s the case for Reactor No. 2. If Reactor No. 1 is in even worse condition than Reactor No. 2, how can they expect a better result? Support the work of Fairewinds by making a donation today! Don’t forget to subscribe online to the Fairewinds Energy Education Podcast! When you subscribe to our podcast, iTunes will automatically check each day for new episodes. available on our homepage – www.fairewinds.org!